Francesca Bennett, Doc Hering’s great grand daughter, is shooting the goal while her sister Georgia goes for the hook. Brother Robby is up for the pass to make sure the ball stays on course. 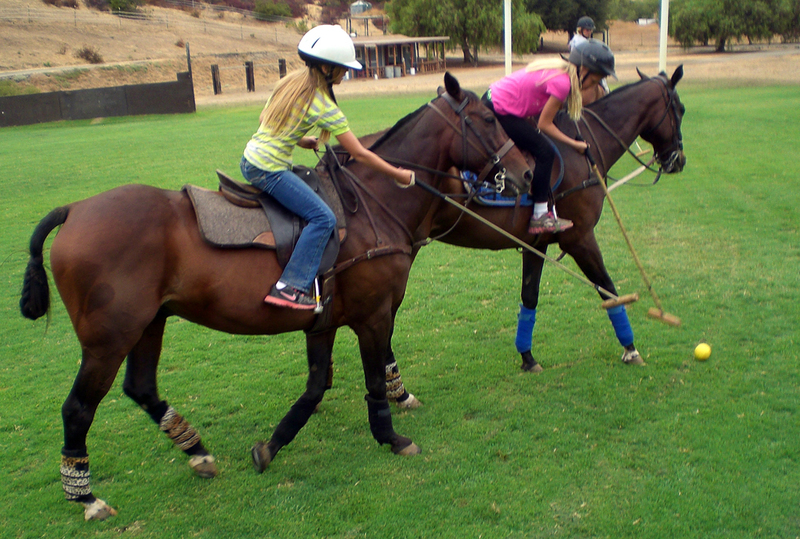 The Lakeside Polo Club Field is used at the end of summer by the White Horse Ranch Riding and Polo School, taught by club vice president Susan Harris. This year 10 new students were introduced to the game. Among them were three great grand children of the late Dr. “Bud” Hering who built the field in 1956. Four generations of Hering’s have now played on that field. 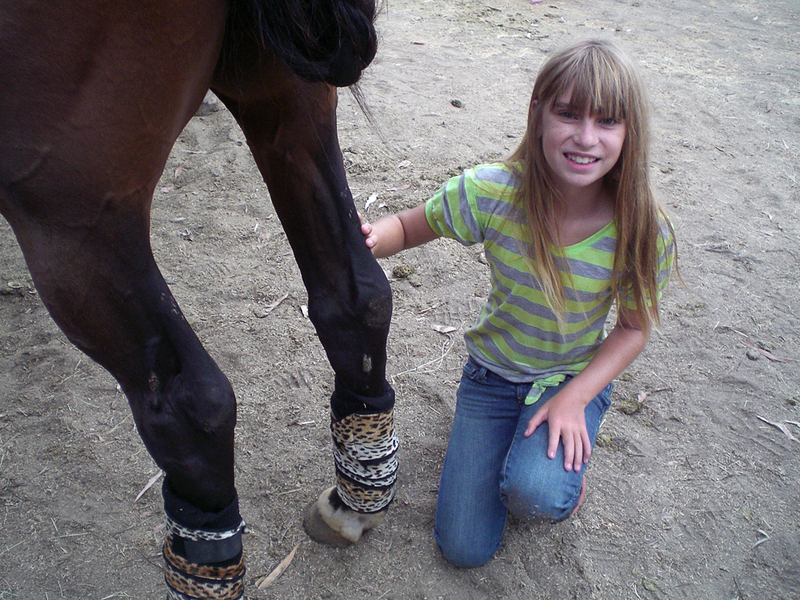 In the week long camp, kids learn to tack up and care for their ponies as well as to play polo, first with footmallets and then on horseback. 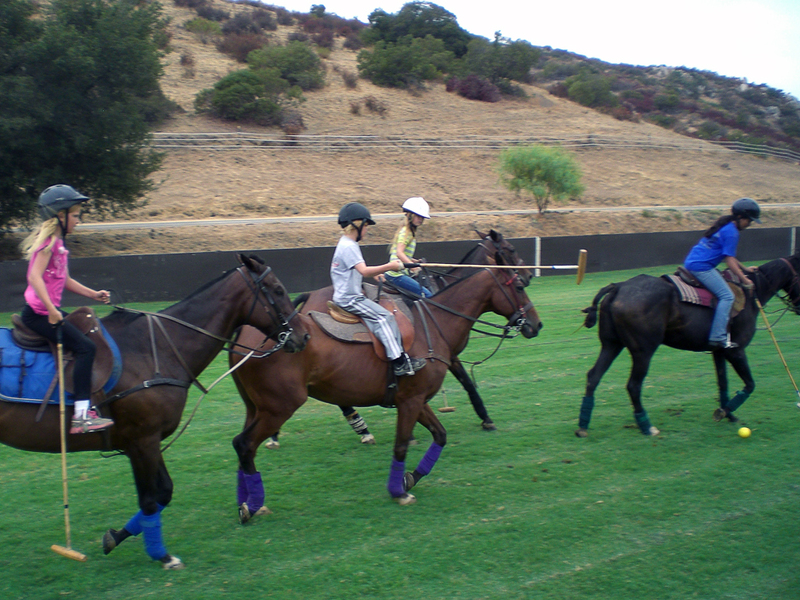 The “Finals” are at the Hering Ranch, where the youngsters played their very first polo game on the emerald green field. We do enjoy our polo! Left to Right: Francesca Bennett, Doc Hering’s great grand daughter, brother Robbie, sister Georgia and Abby Purdy fight for the ball. 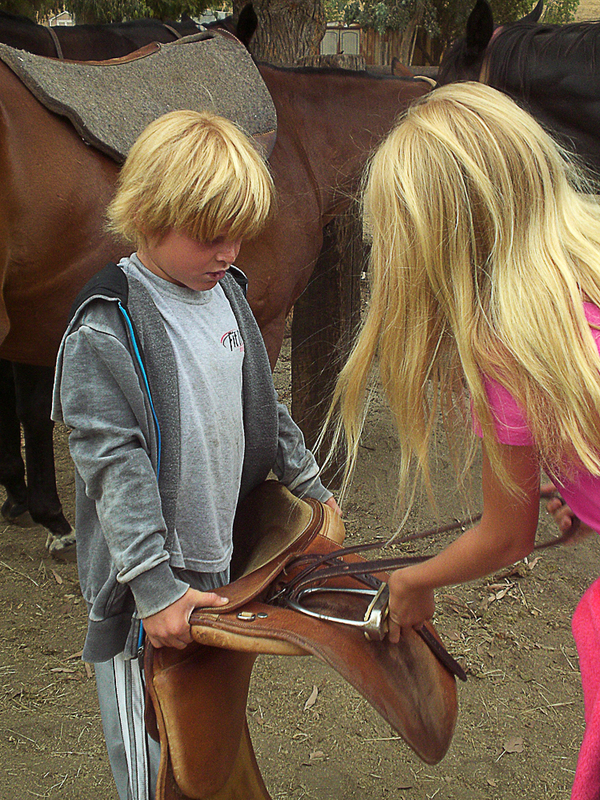 Robbie prepares to saddle his horse with Francesca’s help.